My file server celebrated the new year with some catastrophic hard drive corruption, and since there’s no way I’m going to fly naked without backups, it was necessary to spend some quality time buying a new hard drive and reinstalling FreeBSD. 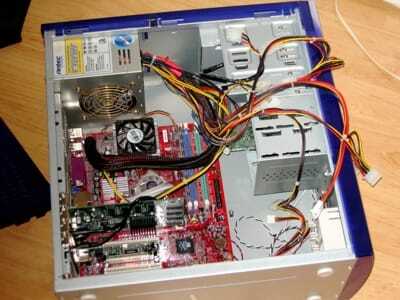 My file server with it innards exposed. Dig the vintage case.